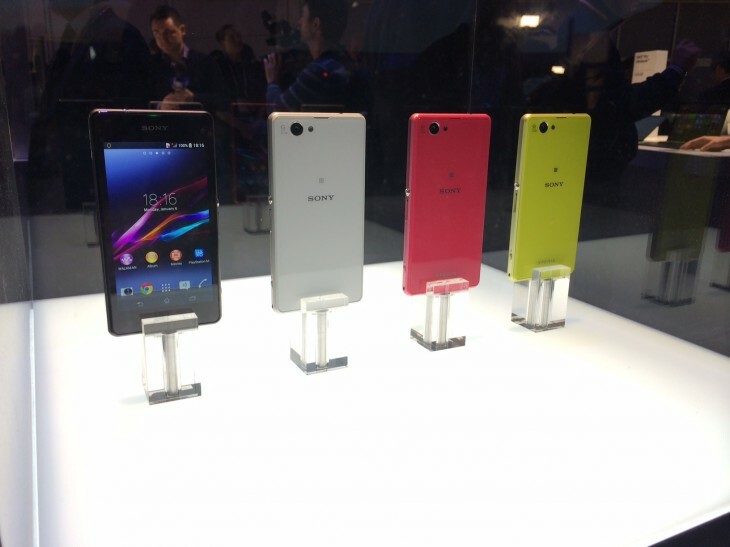 Sony debuted the latest smartphones in its device portfolio today at the 2014 Consumer Electronics Show. Calling it the “world’s best premium compact smartphone”, the Sony Xperia Z1 Compact phone comes with a 4.3-inch TRIKUMINOS HD display, Qualcomm Snapdragon 800 processor with 2.2 GHz quad-core CPU. The new smartphone will have Android 4.3 Jelly Bean installed and be available in four colors. Sony says it’s launching globally in February. The price has not been disclosed yet. Timeshift burst:Capture the perfect shot the first time, every time – Xperia Z1 Compact takes 61 images in just two seconds – a second before and after pressing the shutter. Info-eye: Innovative visual search function to provide relevant information on landmarks or on items such as books or wine, simply by capturing them with the camera. Social live: Broadcast videos live from Xperia Z1 Compact to Facebook and get your friends’ comments right on your screen for an interactive sharing experience. AR effect: Create some fun and overlay your pictures with SmartARTM augmented reality animations. Wikitude Places: Hold up your Xperia Z1 Compact and engage with your immediate surroundings. Get information on places, restaurants, events, hotels, shopping and more. Stay tuned for an upcoming Sony Developer World Mobile article that explains how you can use the Wikitude SDK to build your own AR experiences! The smartphone also comes equipped with a new sensor sub-system that opens up an opportunity for developers to find out what they can do with their apps, such as play with step detection, activity recognition, smart power management, and more. The company has released several APIs and an SDK to aid developers. Sony also unveiled a second phone that’s exclusive to T-Mobile in the US. Called the Sony Xperia Z1S, it’s also waterproof and contains a 20.7MP camera. Available for $528, you can buy it online starting Monday or pick it up from T-Mobile stores nationwide from January 22. For the most part. the Xperia Z1S is similar to the Z1 Compact, but has a larger battery (3,000mAh) and also has more storage (32GB). As mentioned before, this model is waterproof, meaning that Sony is hoping that it becomes a regular work and personal phone for customers to use and abuse as they see fit. Considered by some to be Sony’s flagship model, the Xperia Z1S comes with a 20.7MP camera and will be equipped with the PlayStation app and other camera apps as mentioned earlier. As added incentive to make a smartphone purchase, Sony is bundling the Z1S and the PlayStation 4 together. For those that get these two devices, the company will give them a $100 gift card to buy whatever they want. 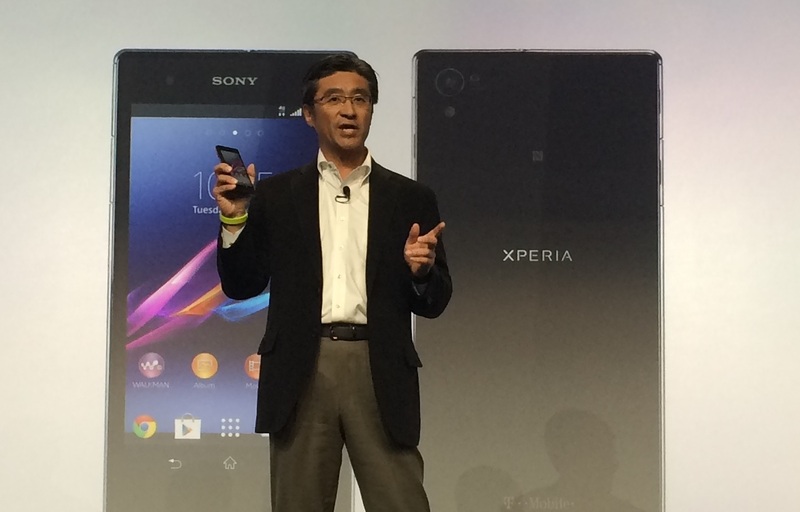 Today’s announcement builds on the Xperia Z1 model, which Sony introduced last year.